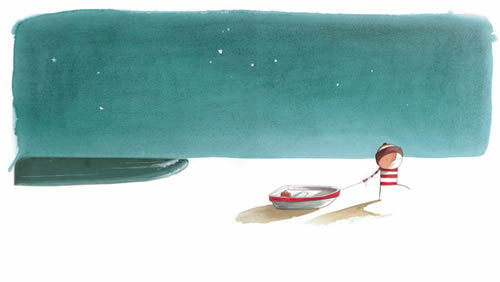 I thought I’d share with you the work of another illustrator whose work I adore, Oliver Jeffers. I love the simplicity of his illustrations, his use of space and making the most of double page spreads. 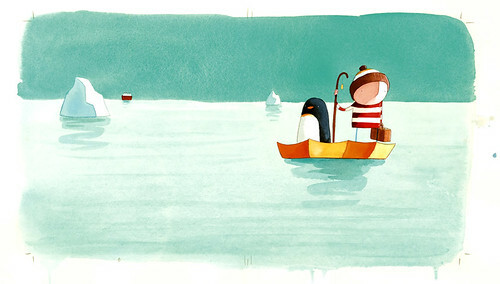 These illustrations are from the book Lost and Found , the story of a boy and a penguin. It’s such a wonderful story that I bought the Lost and Found [DVD] which has been animated beautifully. You really should check out his other books. It is seeing images like this that make me really want to learn to paint properly. It looks so simple but every time I try I get nothing like the magic that you see in Jeffers’ work. 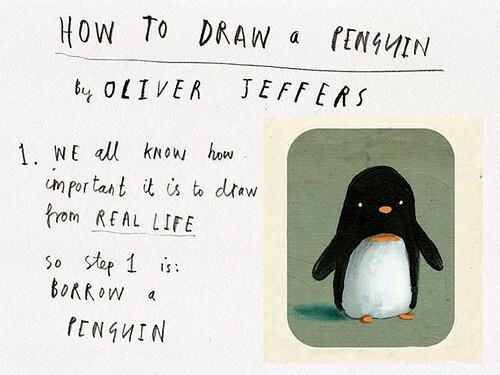 Maybe I should start with his tutorial on how to draw a penguin.